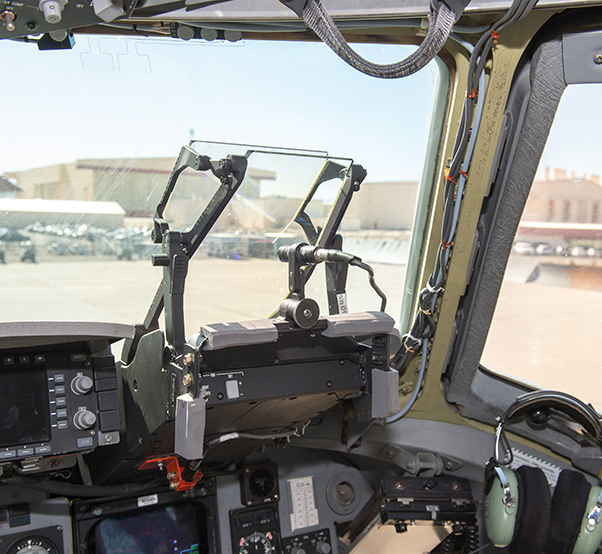 The view of the wash rack on the Edwards flight line through the Replacement Head-Up Display on an a C-17 Globemaster III. The Air Force is looking to see if the RHUD can supplant the legacy display with a newer, more capable version. The 418th Flight Test Squadron at Edwards Air Force Base, Calif., is finishing up tests on a new head-up display for the C-17 Globemaster III this week. 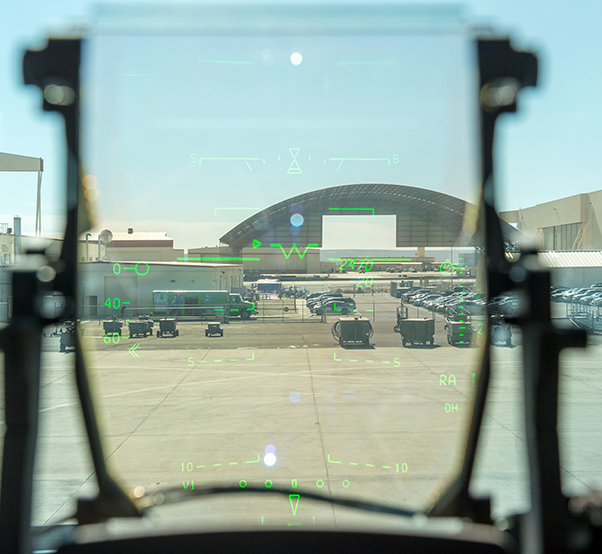 The Air Force wants to see if the Replacement Head-Up Display can supplant the legacy display with a newer, more capable version. For the three-week test, the C-17 Integrated Test Team installed RHUDs on an Edwards C-17 for a second round of testing. The C-17 ITT teamed up with pilots from Air Mobility Command Test and Evaluation Squadron Detachment 3 and operational pilots from Travis Air Force Base, California, who provided an early look into operational use, according to Steve Salas, 418th FLTS project manager. The current HUD is being replaced due to obsolescence said Robert Getsfred, who is the acquisition program manager from Wright-Patterson Air Force Base, Ohio. One of two Replacement Head-Up Displays installed on an Edwards C-17 Globemaster III for testing. The new system has an advanced optical design with a wide field of view. The RHUD computer also has enhanced processing and graphic capabilities. The RHUD is also designed to be installed and removed easier for maintenance. The C-17 RHUD is larger and has more clarity of symbology than the Legacy HUD. 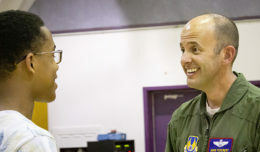 “It provides a larger field of view with a sharper image, which can provide decreased pilot workload to analyze information in the HUD,” said Maj. Daniel Edelstein, 418th FLTS test pilot. According to Elbit Systems of America, the RHUD is designed to be installed and removed easier for maintenance and includes other enhancements. The 418th FLTS collected data from both flight and ground tests along with human systems integration surveys from pilots. 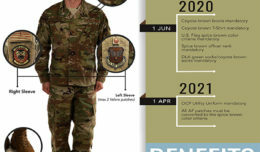 The Air Force will review the compiled data in the future to see if the RHUD is suitable to replace the legacy C-17 HUDs, which is close to 30 years old. 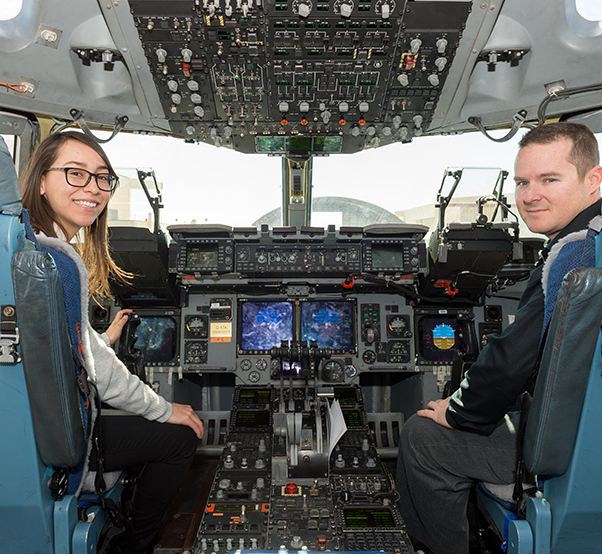 Karen Sanchez, 418th Flight Test Squadron Human Systems Integration engineer, and Matt Osburn, 418th FLTS C-17 lead engineer, sit in the cockpit of a C-17 Globemaster III with new Replacement Head-Up Displays installed for testing.